In the early 1900s, a Colorado dentist noticed his patients had fewer cavities than the norm. He soon found the cause: naturally occurring fluoride in their drinking water. That discovery led to what is now heralded as one of the most important public health measures of the last century — the use of fluoride to prevent tooth decay. While you're most likely familiar with fluoride toothpaste and other fluoridated hygiene products, there are other sources of this chemical you should know about — especially if you're trying to manage your family's fluoride intake. Here are 3 of these common sources for fluoride. Fluoridated drinking water. Roughly three-quarters of U.S. water utilities add fluoride to their drinking water supply under regulations governed by the Environmental Protection Agency. The federal government currently recommends 0.7 milligrams of fluoride per liter of water as the optimum balance of maximum protection from tooth decay and minimal risk of a type of tooth staining called dental fluorosis. You can contact your local water service to find out if they add fluoride and how much. Processed and natural foods. 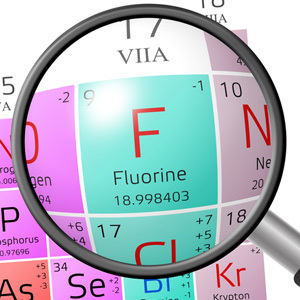 Many processed food manufacturers use fluoridated water in their processes. Although not always indicated on the packaging, there are often traces of fluoride in cereals, canned soups, fruit juices or soda. Many varieties of seafood naturally contain high levels of fluoride and infant formula reconstituted with fluoridated water can exceed the level of fluoride in breast or cow's milk. Beer and wine drinkers may also consume significant levels of fluoride with their favorite adult beverage, particularly Zinfandel, Chardonnay or Cabernet Sauvignon wines. Clinical prevention measures. As part of a child's regular dental treatment, dentists may apply topical fluoride to developing teeth, especially for children deemed at high risk for tooth decay. This additional fluoride can be applied in various forms including rinses, gels or varnishes. The additional fluoride helps strengthen a child's developing enamel and tooth roots. How much fluoride your family ingests depends on a number of factors like your drinking water, food purchases and dental hygiene products and procedures. If you have any concerns about how much fluoride you're encountering in your daily life, please be sure and discuss them with your dentist.